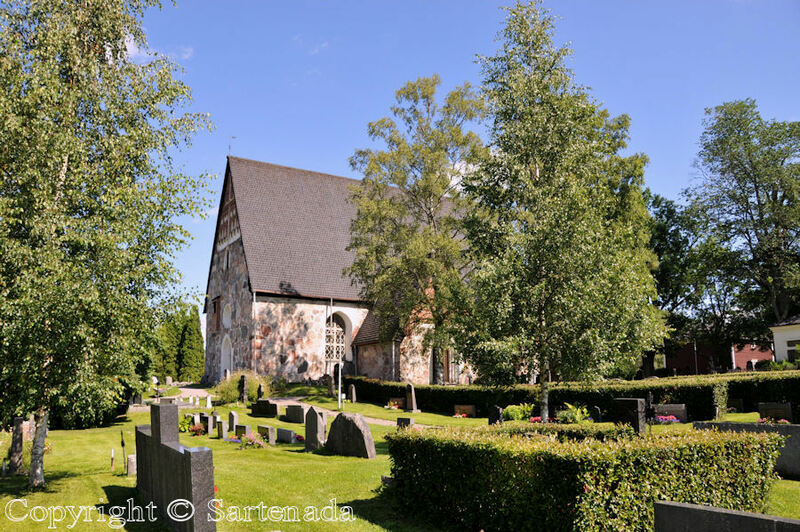 This church, that is situated from Helsinki about one hour by car to the north, nearby the town of Hameenlinna, is small medieval stone church. Church of Vanaja has been built between the end of 1490 and the beginning of 1500. Inside it is extremely beautiful. For me there are three things above others. -First I like its pulpit. It is dating to 1830. 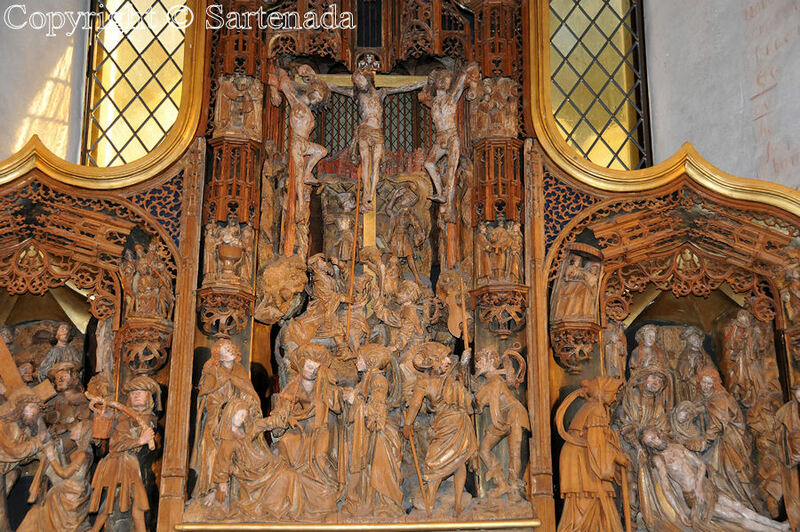 -Secondly from my mind the altarpiece, which size is huge is very nice. -Third there is triptych. This dates from 1600 century and it has been made in Antwerp in Flander. 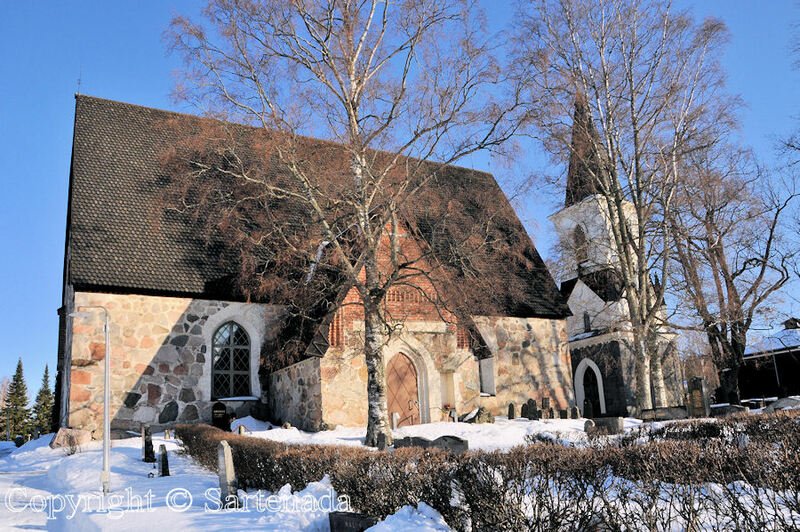 Esta iglesia está situada de Helsinki acerca de una hora al manejar un carro al norte, cerca de la ciudad Hameenlinna. La iglesia est la pequeña medieval iglesia de piedra. 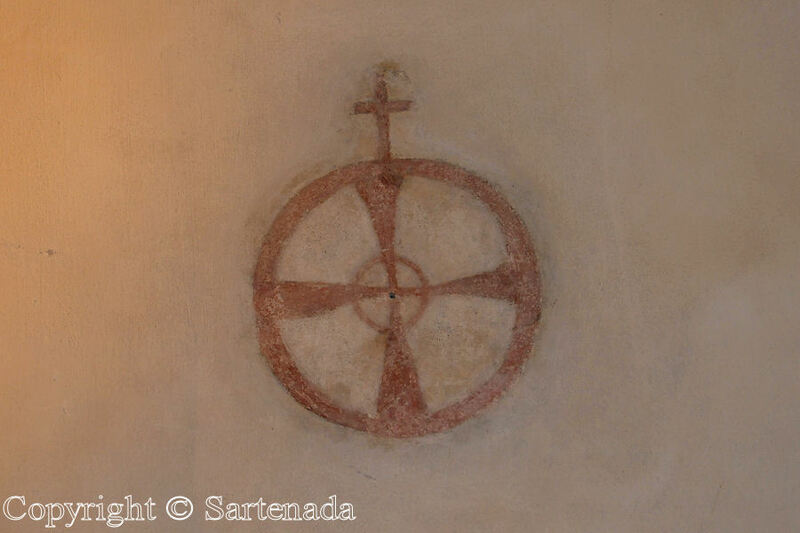 La Iglesia de Vanaja es del fin de 1490 y del principio de 1500. Su interior es lo que me parece muy hermoso. Para mí hay tres cosas encima de otros. -Primero quiero su púlpito. Hecho a 1830. -En segundo lugar de mi mente el retablo, que está inmenso y está muy bonita. -El tercero hay tríptico. Esto data de 1600 siglo y ha sido hecho en Amberes en Flandes (en Bélgica). 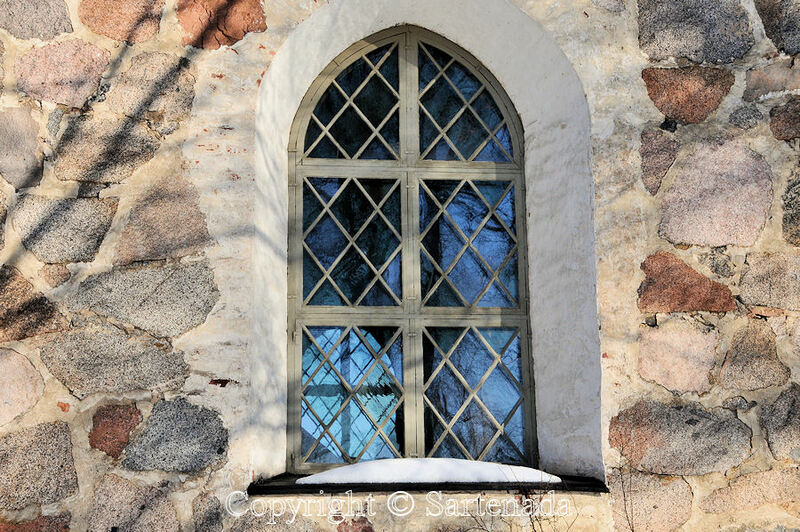 Cette église, est située d’Helsinki d’une heure en voiture au nord, dans une ville proche de Hameenlinna. C’est une petite médiévale église de pierre. L’église de Vanaja est de la fin de 1490 et le commencement de 1500. L’intérieur, c’est extrêmement beau. Pour moi il y a trois choses au-dessus de d’autres. -Premièrement j’aime sa chaire. Il date à 1830. 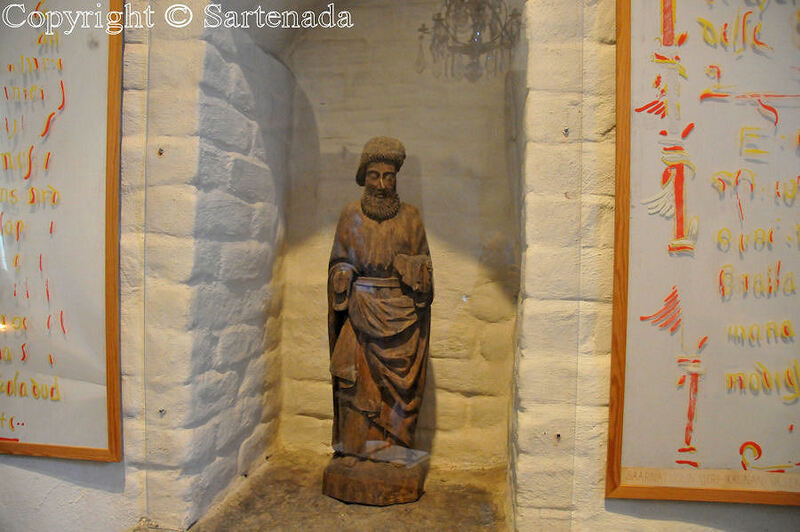 -Deuxièmement je trove le retable énorme très superbe. -Troiemement il y a triptyque. Ceci date de 1600 siècle et il a été fait dans Anvers dans Flander. What an interesting church. 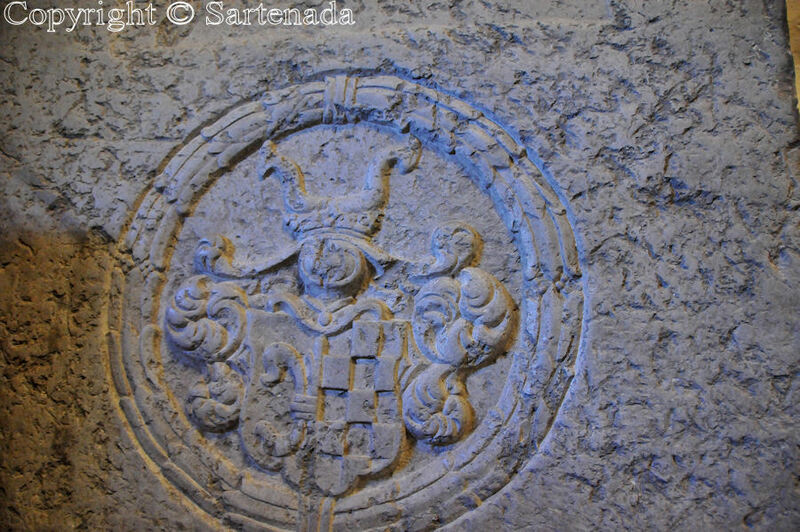 The low ceilings in one part and so high in others, And what intricate carvings! 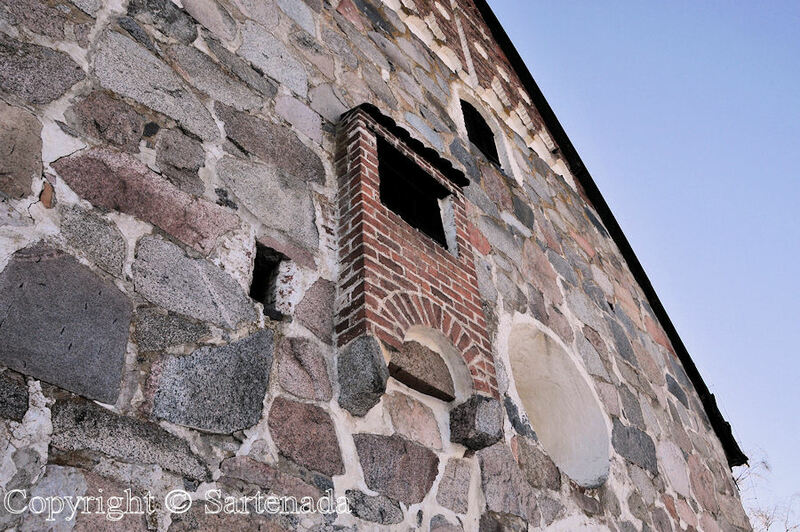 And the stone work of the outside walls. Very interesting building. 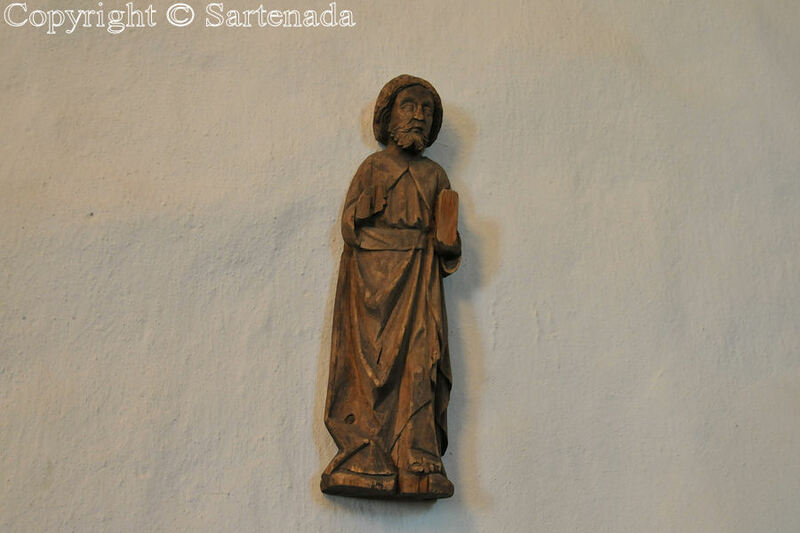 When I for the first time visited this church, then those carvings amazed me too. Thank You for Your visit and comment. Happy Friday (it is Friday morning here)! Wow! Thank you very much for this wonderful experience. I shall be in Helsinki next week but I won’t see the countryside of Finland. You have made it possible for me to see some beautiful places instead. Anyway You are welcome to Finland. According the 10 day weather forecast, the weather seems to be generally sunny. This week the weather varied from rainy to sunny. I am glad that You like this quite church which is from our home about 60 kilometers. i’m jealous of places with such old things – my town is only 120 years old! Well, jealous, I am jealous about Your mighty country. 🙂 Actually I do not know it well, because the only glimpse that I saw from it was in 1970 when our plane from Honolulu via Tokyo made a technical (refuelling & catering) landing at Anchorage before continuing to Copenhagen. I love the photos, especially the ones with snow. It looks so picturesque. That was so nice to read. 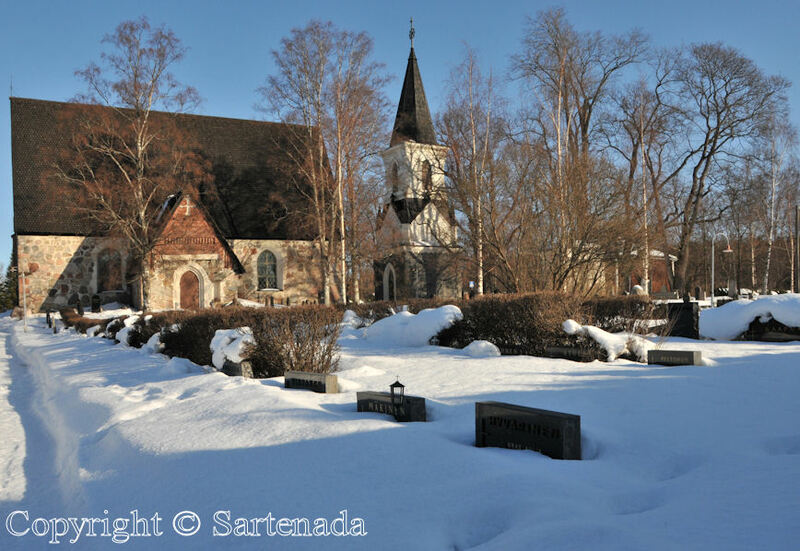 It was in the Spring when I said to my wife that let’s make visit by this church that I can take also snow photos. Thank You commenting. I visualized myself in the church and imagined the people who worshipped there so long ago. Very peaceful place. No doubt it has the scent of times long past. 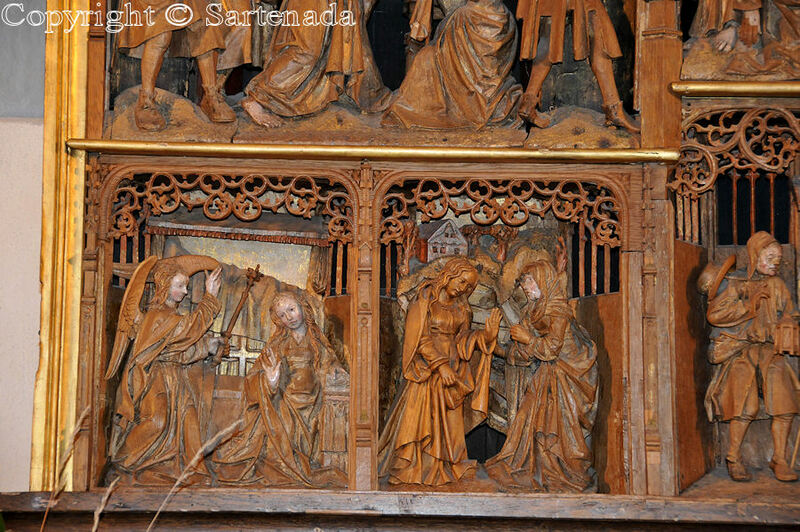 I especially like the intricate wood scenes. I expected Your comment with great interest. Thank You. What a beautiful church. Thanks for sharing your corner of the globe! I am very glad that You commented this church. Oh yes, that was so nicely said my “corner of the globe”. Our world is full of beauty, special places and blogs offer one way to travel in them thru people’s blogs. I am very happy from Your comment. Thank You. I am not so big fan of stone churches, but this one is beautiful in its simplicity. It fascinates me. The lighting coming into the church is so beautiful. Wonderful old world architecture and skilled carving. Those buildings are something to be proud of. Now days here in the US it seems everything put up is just a square upon a square. 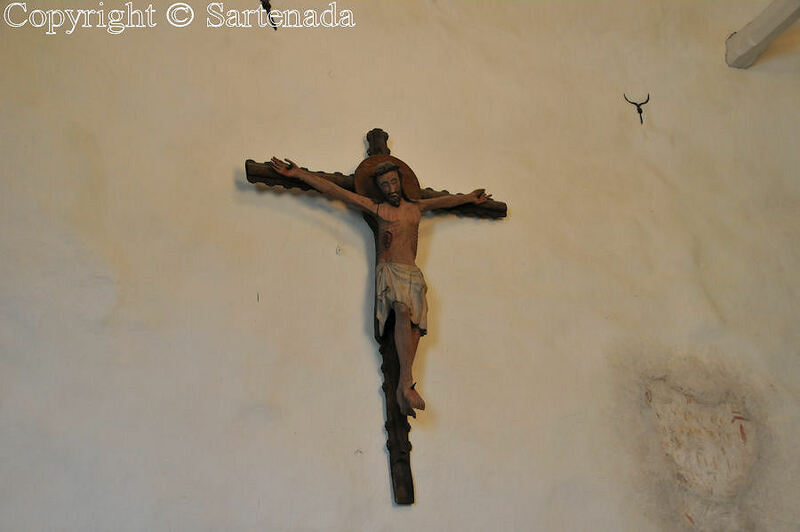 Here in the islands we have managed to save a few of the old mission churches. There history is more interesting then their architecture. such as having to cut tons of coral blocks from the sea and drag them miles to install in the making of the church. I truly enjoyed your photos. 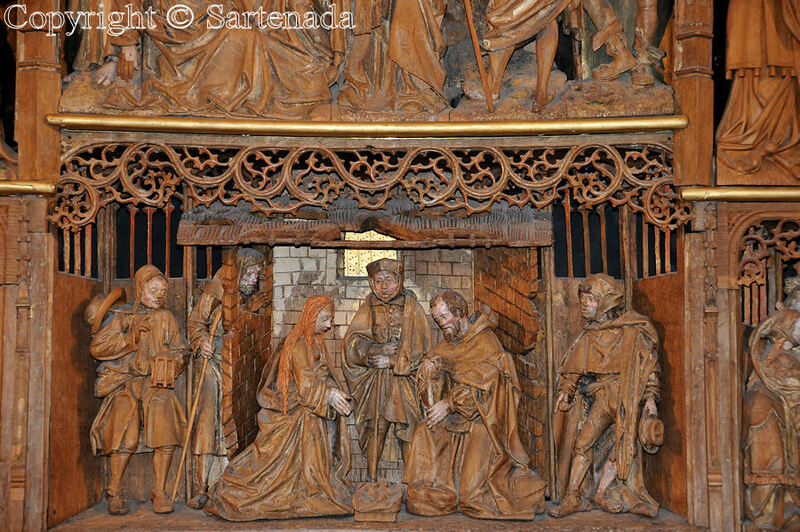 Maybe you could do a blog on one of those intricate carvings that seems to have different scenes in one panel. I suppose they represent bible verses? Thank You for Your nice comment. Same phenomenon is also here when talking about architecture of our days. In the past people created buildings with heart and those who visited in them enjoyed by full heart the comfortable feeling. What a beautiful church! And thank you for showing so many of the details. It must be very sturdy because the building looks like it’s in excellent condition! So nice that You did love this church. Churches are always interesting targets for visit. In them we can make discoveries which cannot be guessed when observing them from the outside. 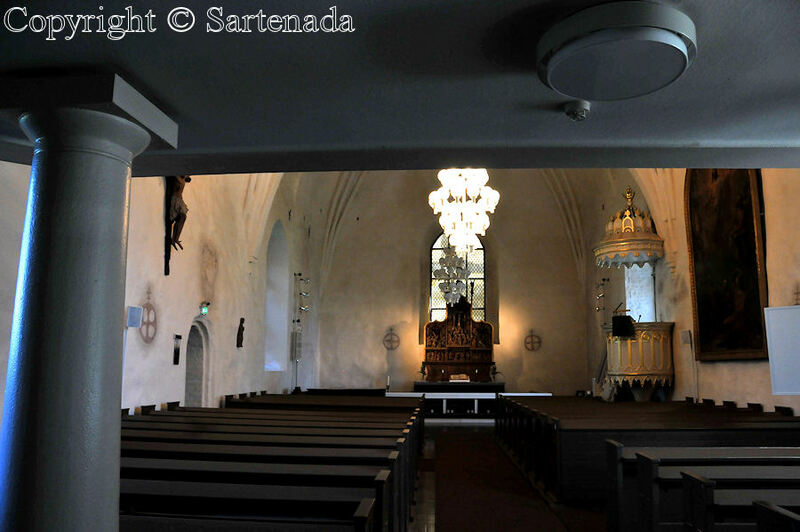 This church is an old and beautiful building, Matti. Working in “The Old Town” in Århus ( http://www.dengamleby.dk/the-old-town/ ) I love old and historic buildings! So nice to read Your comment. Thank You. What an amazing building that is! It’s still so beautiful and in such good condition after all of those years! The carvings are just incredible! I enjoyed seeing this very much! Thank You for Your comment. I am glad that You love those carvings. As You saw we visit in this small church every now and then. Thank you for sharing these beautiful pictures. 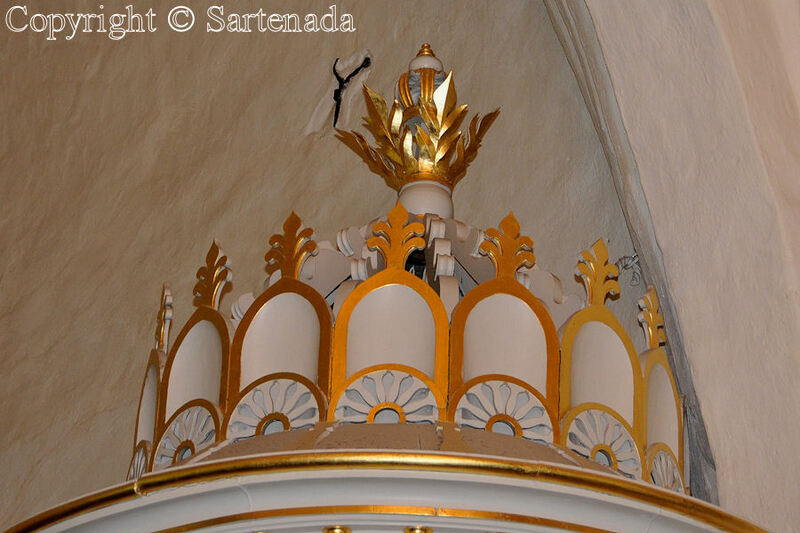 The church is just wonderful, the architecture is amazing and so detailed and meaningful. It’s sad that we are losing the artisans and artworks of our past civilizations and ancestors. Beautiful house of worship. Thank You for Your so nice comment. 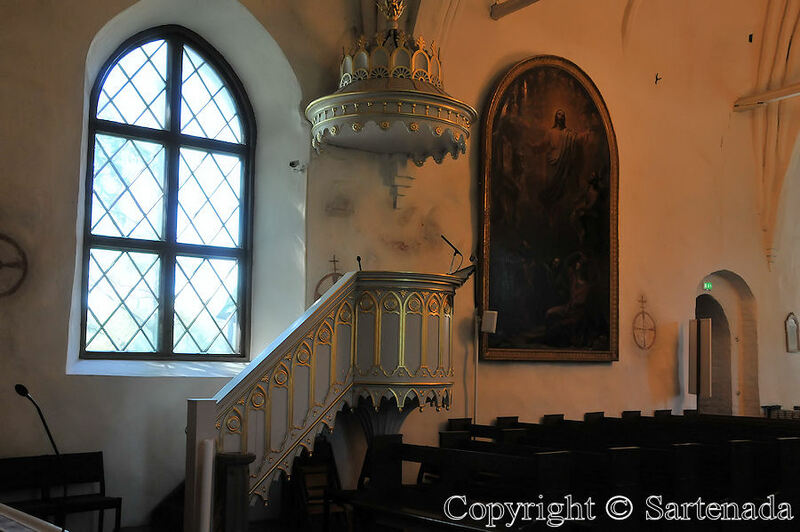 I wait this summer with eager to visit in a church which was destroyed in arson, but which was rebuilt by voluntary work. Some artworks are remade. 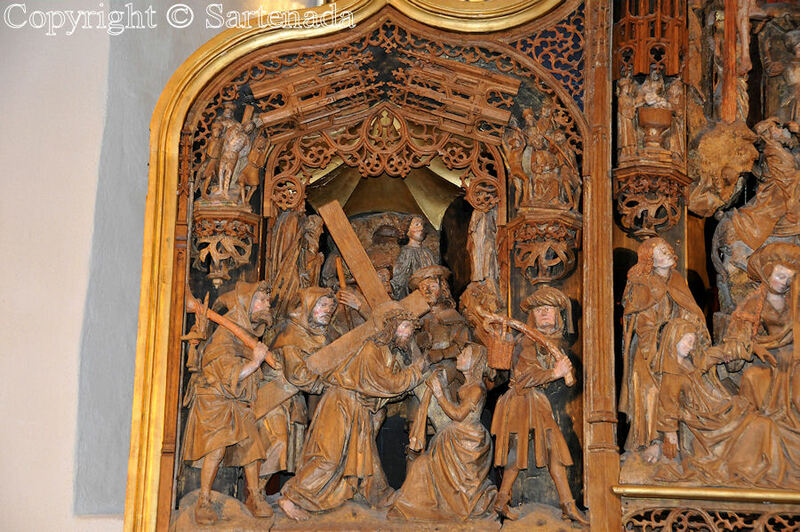 The carved altar piece is amazing! Thank you for all the detailed close up photos of the carving. That must have been someone’s life work. Such a beautiful building! You are so right; so it must be. I am glad that You saw this small church thru my photos. It was nice to read Your comment Tamara. Thank You. Have a lovely week-end to You also! I am very glad that You visited my site also. Thank You leaving Your comment. 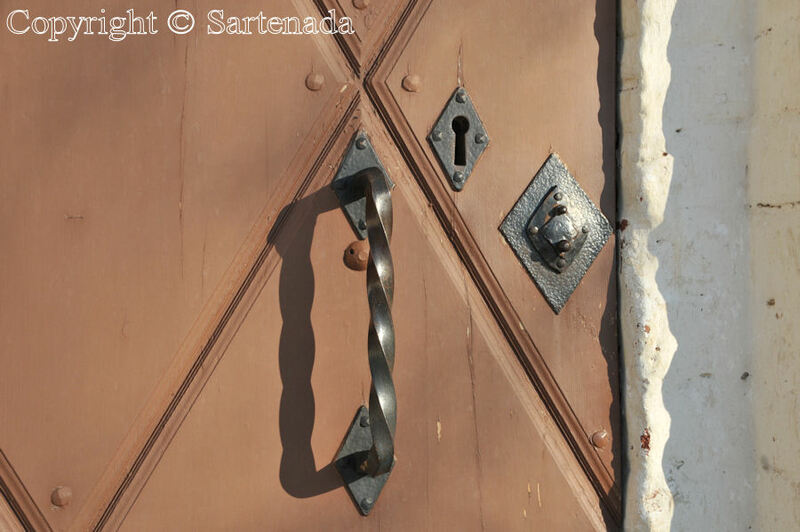 I love the simplicity of the architecture of this church; white washed stone walls, simple window openings, arrow slits, big caste iron doors with the iron fittings, stone carvings. This simplicity is what I think of as Findland. I see this same simplicity in the Finnish modern design that I admire. I wonder what those big stone rectangles with iron rings were used for? Thank You for Your visit and comment. Your question is excellent, but at this moment I cannot answer to it. So sorry. Well, until now no one has wondered the fifth photo from the top and asking what is that whole in the wall. It is outdoor pulpit. 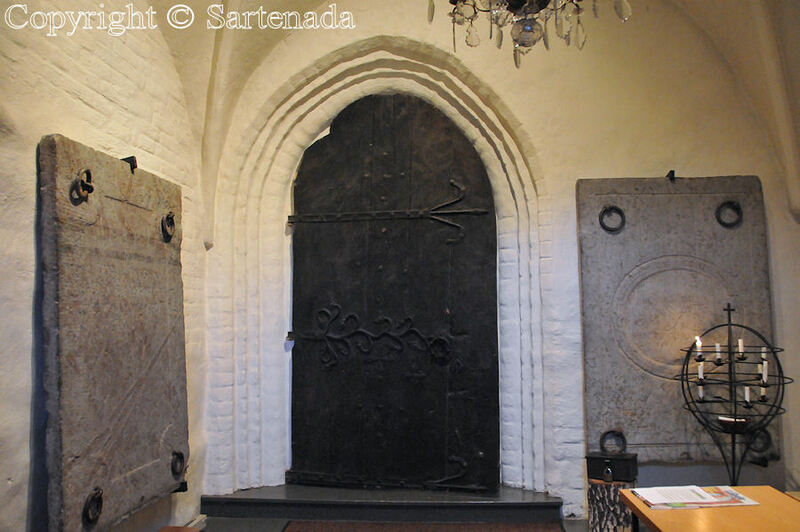 It was used for that common people who could not into the church. Thanks for the honest answer and I did wonder about the hole in the wall but forgot about it. Thanks for the explanation. Knowing makes it even more interesting. It’s a small church, I guess there wasn’t room after the Lords and ladies got there. Sounds as though there may have been some preferential treatment, although I believe in respecting your government officials, so maybe that’s where they were coming from! The medival age is facinating, you have tangeable evidence in your architecture. Finish history is somewhat exotic to me. I saw some Viking ship shapes in one of the quilts. We just don’t hear or see much as you know of Finland, mostly European. Plus, we don’t have any reference in the US, it probably seems somewhat commonplace to you. I don’t think I have looked up your Christmas traditions. If you have any photos there are many of us who love Christmas traditions, decorations, costumes, etc. You are the first one who is interesting in our Christmas traditions. Thank You. It contains five posts. 1. Christmas markets. 2. Christmas in the Museum of Glass. 3. Our Christmas tree decorations. 4. Old Christmas postcards. 5. Himmeli – Finnish Christmas decorative tradition from rye straws. So when at the end of page, then click Next page, please. Thank You asking Christmas traditions although it is nearly summer here in Finland. I am sure that You will be amazed! 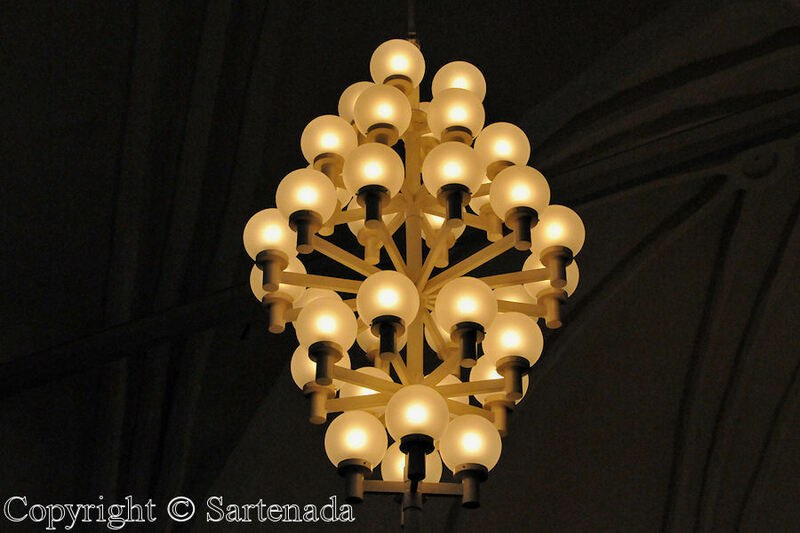 Thank you Sartenada for the great Christmas market photos. There is lots to see. Many handmade items. Looked like a large selection to me, but I don’t live in a large city (Richmond, VA). Loved the handmade elves, sweaters, eskimo felt pullovers, woolly bearded elves heads, wood carriers, wood objects, moose antlers, unique to your country. I would prefer to buy most of my gifts at a place like your markets. I am so attracted by this beautiful church! It looks very “home-y”! I am very glad that You like it. Thank You commenting. The hand carvings are beautiful!!!! Thank You; they really are. Wood carvings are yet today popular in Finland although these are something incredible. This is a beautiful church — I really like the stone exterior. The altarpiece is exquisite. Thank You George for Your comment. I am happy that You like this small church. Very beautiful!! I love the look of the outside in the snow, it’s my favorite. Okay, it was so nice to read that You enjoyed winter photos too. I remember the day very well, because we made a walking “picnic” in the nearby small town Hämeenlinna and walked around the lake Vanajavesi which was frozen. It is difficult for me to imagine a place so old given I consider an 1860s church here in Minnesota to be aged. This church is absolutely splendid in so many ways. 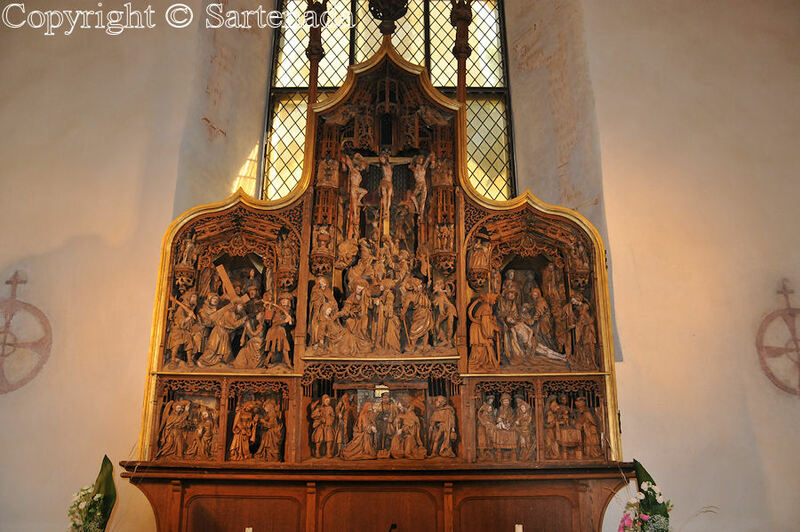 But I would have to say the carved altar truly impresses me above all. Such craftsmanship, such beauty. 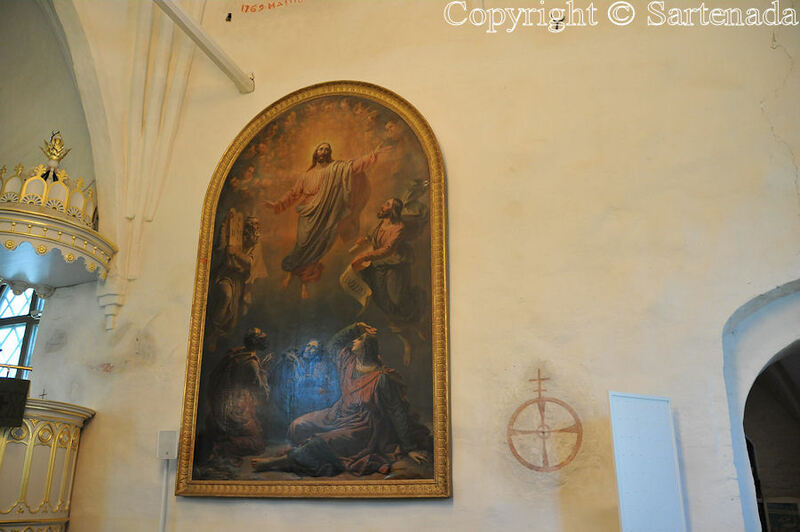 I am glad that You visited my blog and did find this church post. 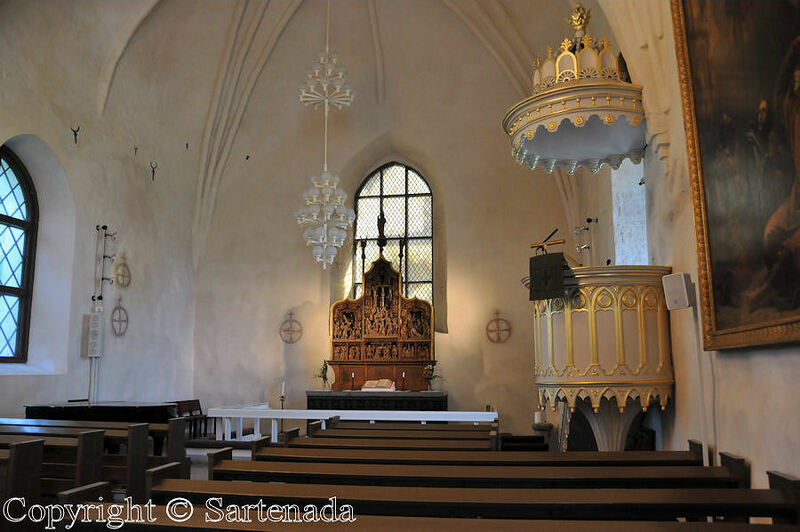 We have indeed some stone churches which are from Middle Ages. 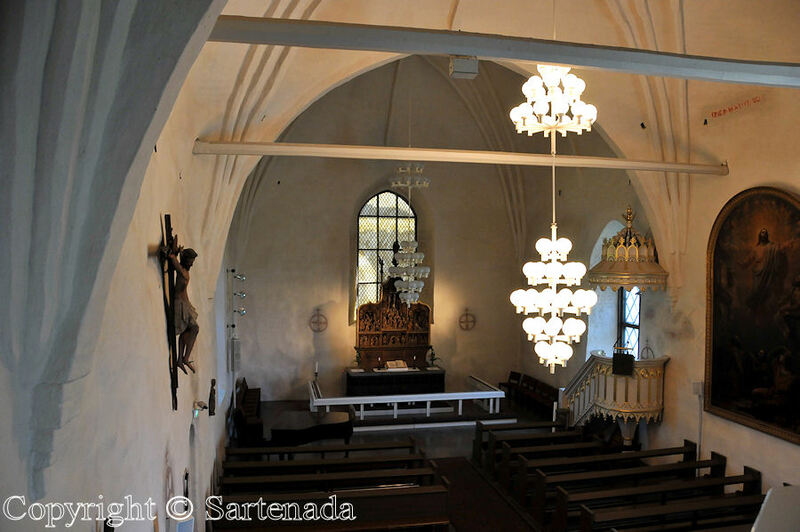 Our wooden churches are younger, because fires have destroyed them in many cases during centuries. 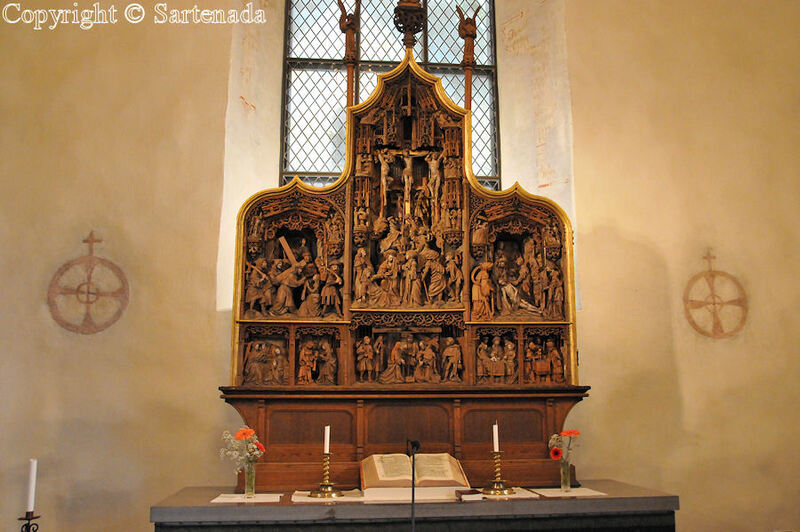 It was nice to read that You like that carved altar. Thank You commenting. It is a very attractive church. It’s interesting to see that the tower is built separately from the main part of the building. 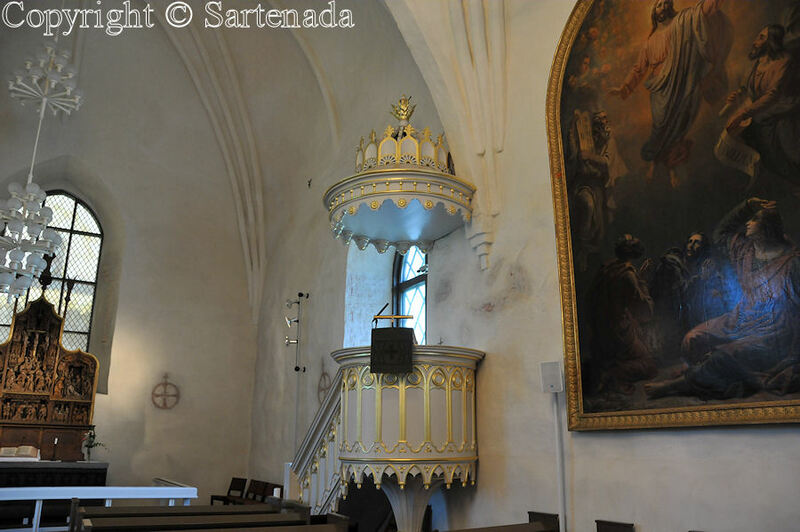 I agree with you about the pulpit – it’s delightful! Nice comment, thank You. What comes to bell towers there are huge amount bell towers which are separated from main building. They are beautiful, although it is me who says so. Have already four posts presenting them and I hope that this summer my “collection” will grow. Have a lovely Wednesday evening! I did wonder if it was a typical Finnish feature. I’ve never seen it before. I do not know if it is Finnish feature. If You did take a look at them, then You noticed that some of them are old. Some are stone made, some made from stone and wood and many of them are wooden. This leads us to our history. In the historic days stone was more expensive than wood and that is why many bell towers are wooden. Why they are separated? Mainly two reasons. First one is that they are not cheap to build or to rebuild if they are destroyed in fire. When bell towers are separated from the church and then for example if lighting burns the church, then the bell tower can be saved, because they are separated. In Finland there have been many big fires caused by lightning or by arsons. Some churches have been rebuilt, sometimes twice or even trice. Those bell towers are not similar. Some are simple; some are very colorful as You noticed. I forgot to say that these separated bell towers are situated mainly on countryside. 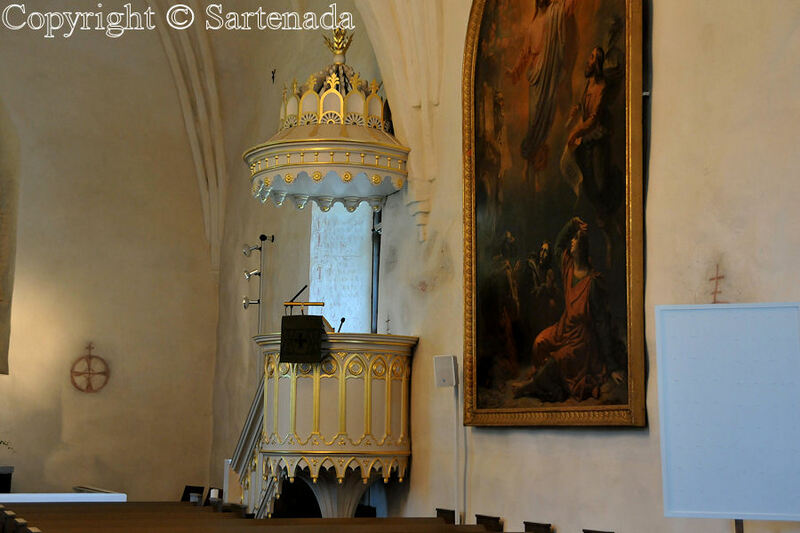 Nowadays some bell towers serve also as local museums. So it is also in that municipality in which I live. 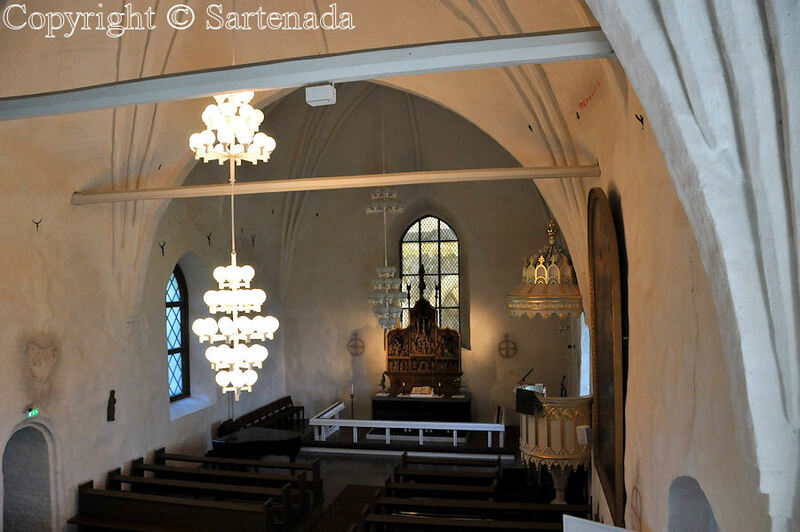 My Wooden Church of Nurmijärvi is beautiful and its wooden red bell tower is also museum. Both are beautiful – church and bell tower. 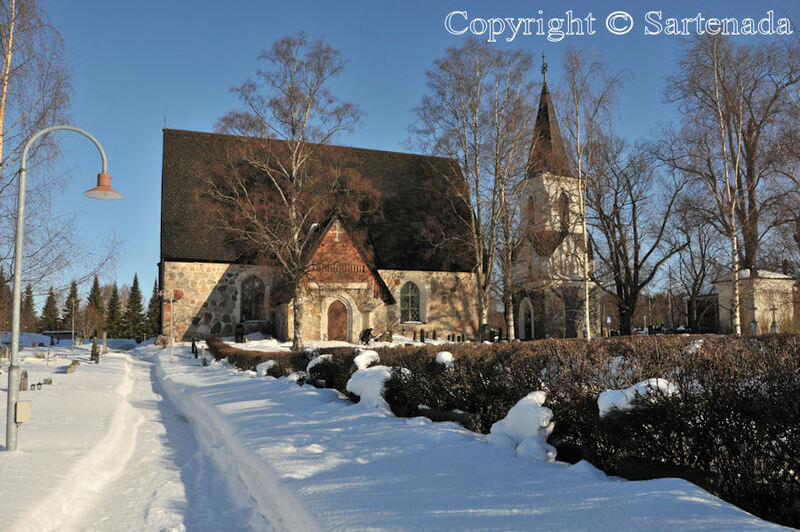 My church is one of the most beautiful wooden churches in Finland. This is a magnificent church, and of course you are still covered in snow! I just love how you are able to capture so much soul of a place – all your locations feel like I am standing there, right with you, taking it all in. Oh, thank You for Your visit and commenting so nice. I am very glad that You did like my post. Me alegra mucho que te guste esta pequeña iglesia. ¡Muchas gracias, es un gran placer tener tus comentarios! Otra chica era un estudiante francés que estudió la arquitectura y el diseño de nuestras iglesias y la otra de la guía de la iglesia. ¡Me encanta que usted les ha notado! What a beautiful little church. 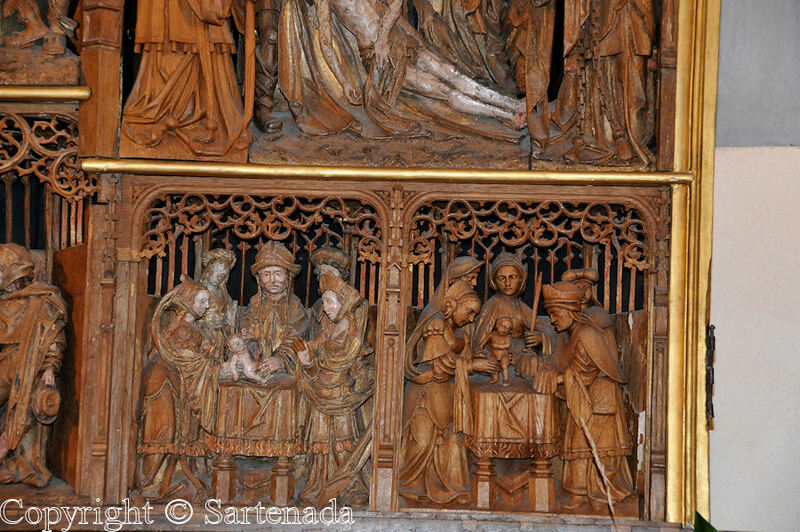 The alterpiece (I think they call this a reredos) is exceptional – what craftsmanship! I am glad that You visited my blog and left Your comment. We’ve just returned from a wonderful holiday in Helsinki. 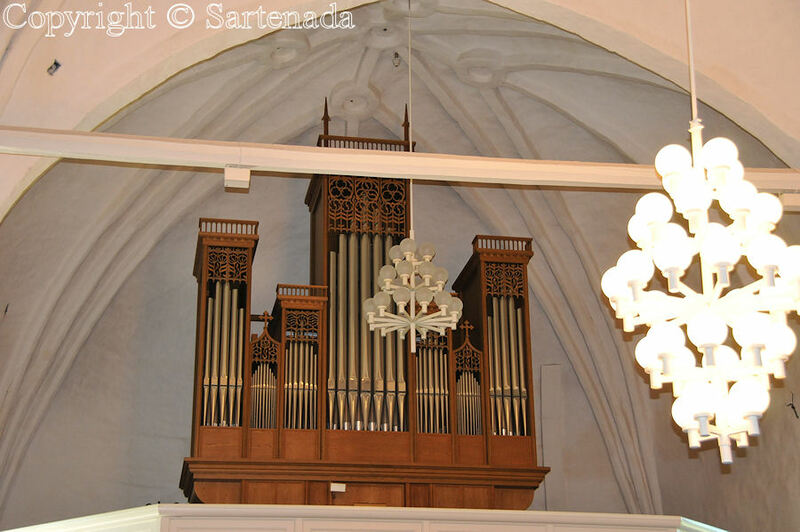 We went to a Sunday morning service at the Old Church, Annankatu in Helsinki and it was a lovely service with a choir, a male singer and the Organ. We didn’t understand many words or the hymns but we understood the sentiments. 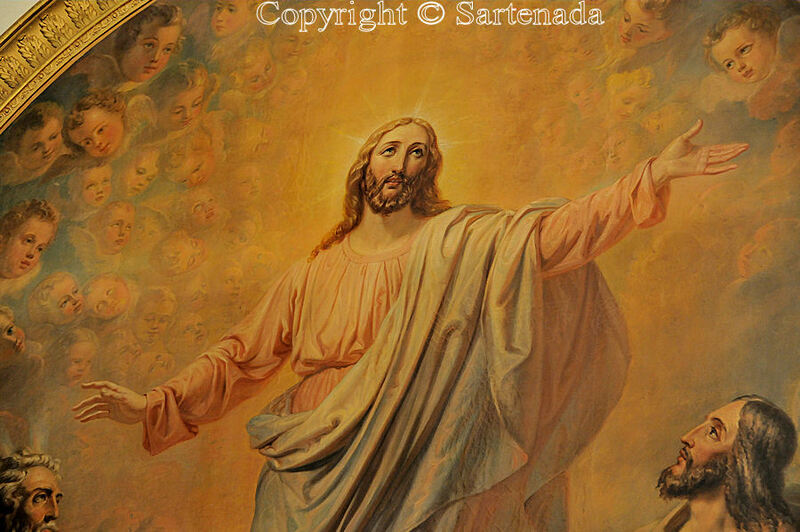 The huge Alterpiece “Jesus blessing the children” was a great inspiration and before the service, I took some photos. We went to some concerts at the Sibelius Academy and the new Helsinki Music Centre. That is an amazing place! We met some of the young Kantele players. Anna gave us a lovely CD of Erkki ja tytot. Altogether I brought home 16 CD’s of Finnish traditional music. As before, we were so pleased by the friendliness and smiling helpfulness of the Finnish people. Thank you again for your great photos. I can heartily reccommend anyone to go to Finland for a holiday. I certainly hope I can go again! You are brave people. It was a great pleasure to read Your message from Your visit to Finland. I know that Old Church very well and I might someday make a post from it. I love the New Music Center in Helsinki; it is very stylish. You bought a lot of Finnish music. The fact is that we have many beautiful melodies which go direct to one’s heart, but which are not known abroad. The main problem is of course language. I am very glad that You got a positive experience from Finland. I was checking every day the weather and one day in the Eastern part of Finland we had 27 degrees Celsius / Centigrade. It lasted only one day. Best regards to You both. Matti. It is small but beautiful inside I am glad that You loved its winter photo. From Helsinki it takes only one hour by train or car. The eight photo from the top shows two ladies. 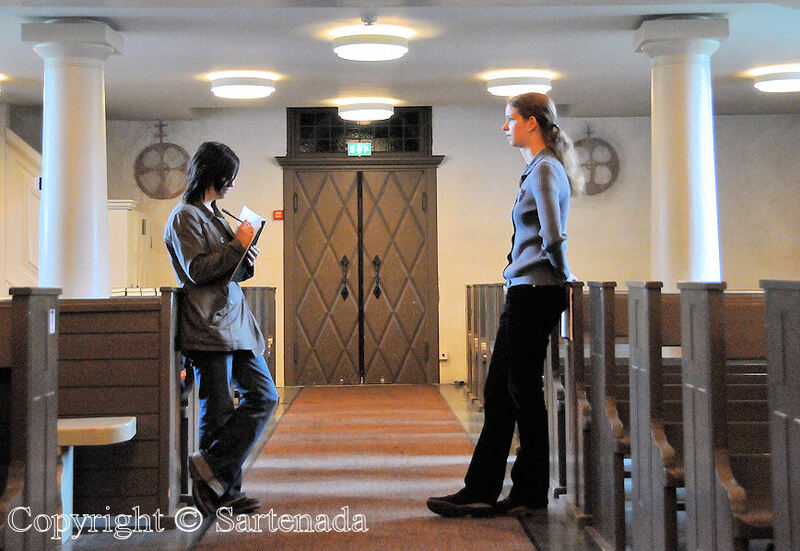 On the left side there is a French student who studied our churches nearly five weeks. She travelled from the South to the North and from the West to the East. I showed to her five churches in one day which means that she was busy with her studies! The lady at right side is guide of this church. 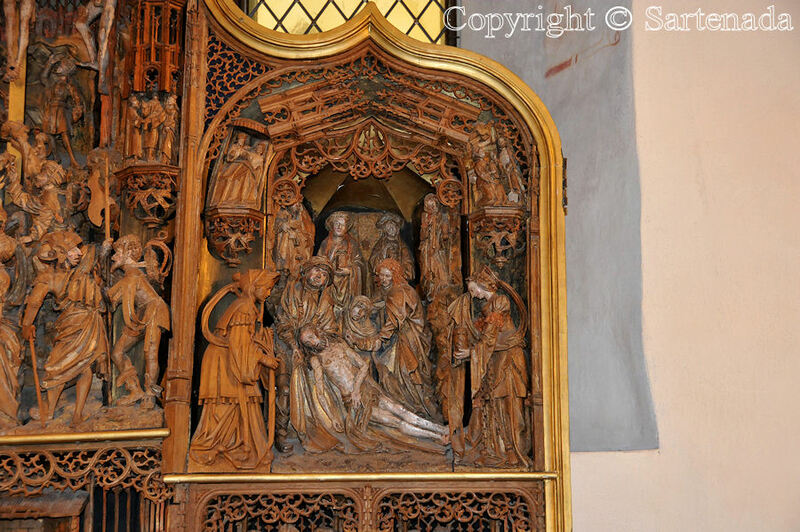 That certainly is a fine piece of work as the reredos! I can’t help but admire the skill and dedication of the original craftsman. Thank You. When I saw it for the first time I was surprised to see this kind of masterpiece. 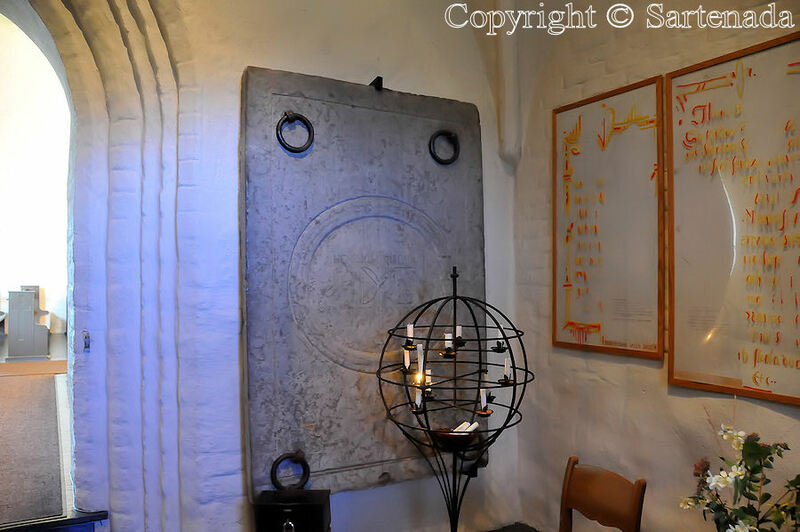 Churches offer to visitors nice surprises. 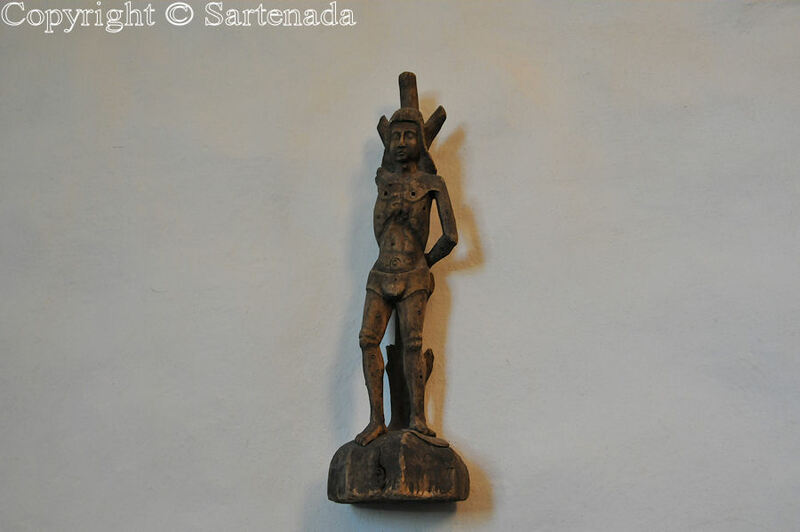 On Thursday the 6th, I’ll show the collection of unique wooden pauper statues presented in the world’s largest wooden church. Thank you! – you too! Es una iglesia espléndida ! Me encantan los colores , el grabado , y la sobriedad de algunas paredes y estatuas! Nunca había visitado esta entrada porque en la época en que fue publicada yo no seguía ningún blog…. Me gustaron muchísimo tus fotos! Que alegría al leer tu comentarío tan amable! Mi historia de la fotografía empezó fotografiando Iglesias y por eso presento las más bonitas Iglesias aqui. Muchas gracias por tu comentario. Church scale models from matches / Maquetas de Iglesias de fósforos / Èglises maquettes d’allumettes. Beautiful, the air looks so cold, clean and fresh outside, but welcoming inside. What craftsmanship for that time period, I also love the Triptych. I am very glad that You saw my photos presenting this church. It is quite near to Helsinki and thus easy to visit. Thank You for Your comment.